Emergency medical travel insurance is typically associated with travelling outside of Canada, to the United States or abroad; but, what about trips within Canada to another province or territory? If your travel plans are to explore Canada-and you're already covered under your province's health insurance plan-the good news is that according to the Canada Health Act your home province is required to cover you for medically necessary (i.e. emergency) hospital and physician services while you're on vacation. That means in most cases your province's health insurance card will be accepted. This is possible because the provinces and territories have reciprocal agreements with each other. The only exception being Quebec; Quebec participates in these agreements for hospital services but not physician services. If you're a Quebec resident, or are travelling to Quebec, you may have to pay for a physician's services. That's not to say you're not covered in the event of an emergency-you are, but you'll likely have to submit a claim for reimbursement. That's the good news. 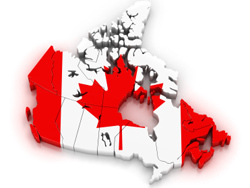 Coverage for medically necessary hospital and physician services will follow you while in Canada. There may, however, be exclusions; what may be normally covered while you're at home, may not be covered while you're travelling. That's why-like with any insurance policy-you have to ask not just what is covered, but what's not covered. To ask these questions, contact your province's health insurance office (we've provided a handy list to point you in the right direction at the bottom of this article.) It's when you ask this important question, that the necessity for travel insurance even while travelling in Canada becomes clear. Out-of-province government health insurance in an emergency: what's not covered? Each province varies; some will extend coverage for these "additional benefits" but most do not. In addition to emergency medical travel insurance, policies that include trip cancellation, trip interruption, and coverage for your luggage if it's lost or delayed in transit are also available. Your provincial health insurance follows you when you travel Canada; but given the exclusions and the benefits it doesn't cover, is it enough in the event of an emergency? Chances are you'll see that purchasing additional health insurance when travelling to other Canadian provinces is recommended in order to cover the cost of services not included in the reciprocal agreement between provinces. That's why you need travel insurance even when travelling within Canada. Looking for more travel information, travel statistics and travel insurance? Read: Where In The World Are You Travelling?